Mackenzi Lee holds a BA in history and an MFA in writing for children and young adults from Simmons College. She is the New York Times bestselling author of the historical fantasy novels THIS MONSTROUS THING, THE GENTLEMAN'S GUIDE TO VICE AND VIRTUE, which won a 2018 Stonewall Honor Award and the New England Book Award, and its sequel, THE LADY'S GUIDE TO PETTICOATS AND PIRACY, which debuted at #3 on the New York Times bestseller list. 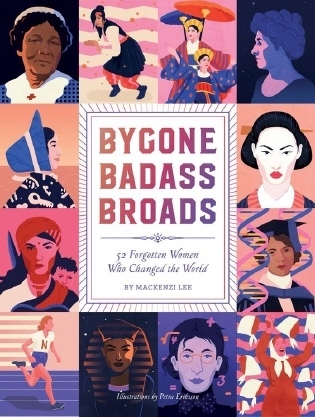 She is also the author of BYGONE BADASS BROADS (Abrams, 2018), a collection of short biographies of amazing women from history you probably don't know about but definitely should, based on her popular twitter series of the same name. When not writing, she works as an independent bookseller, drinks too much Diet Coke, and romps with her St. Bernard, Queenie.